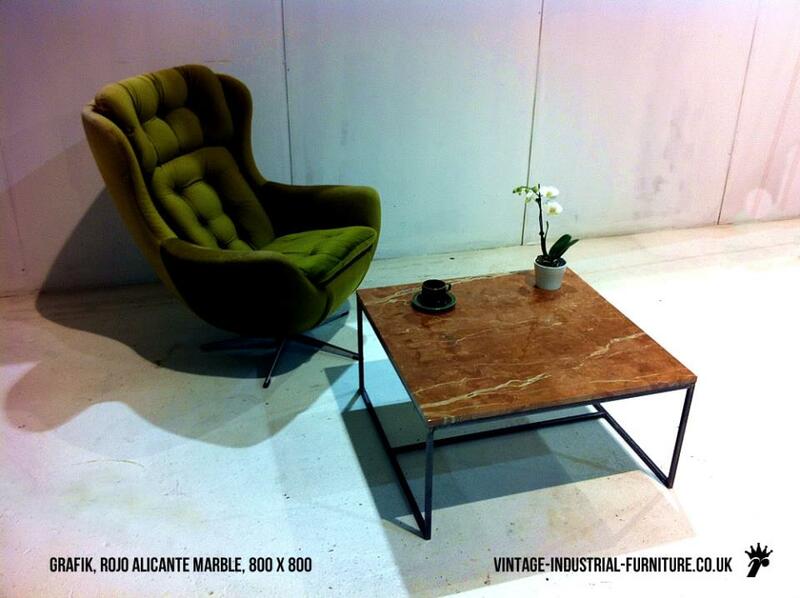 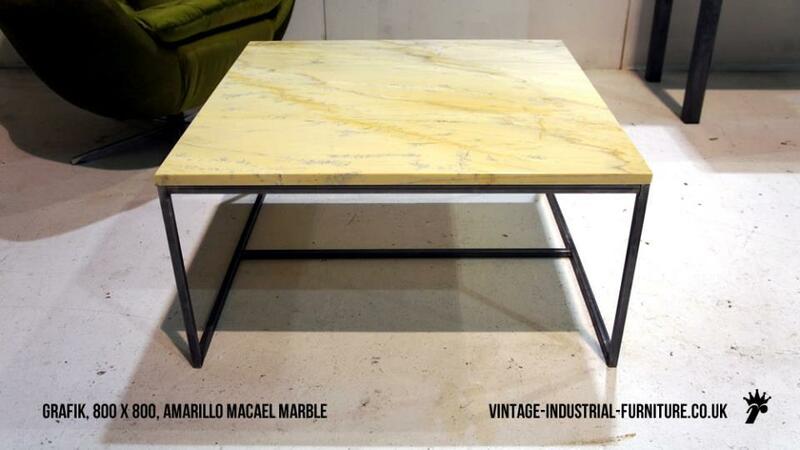 This is a vintage industrial marble coffee table version of our Grafik model. 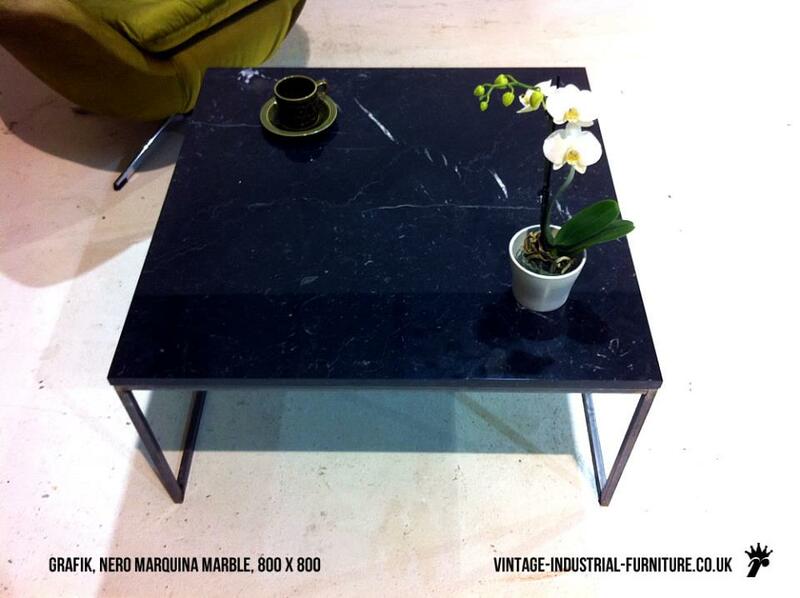 The fine steel frame hints at the vintage industrial aesthetic whilst the marble top provides a luxurious contrast. 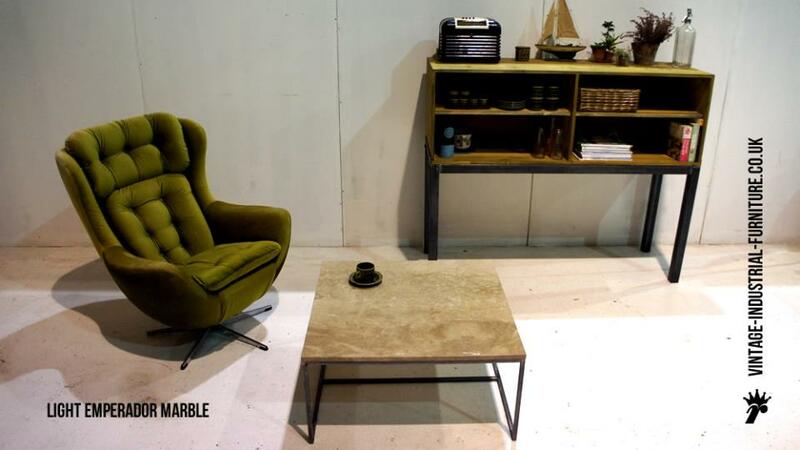 The slim tubular frame is constructed from square section steel. 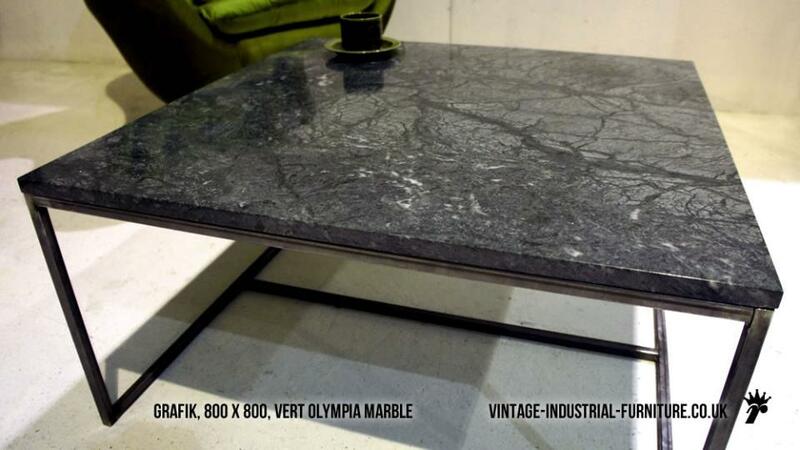 The weld detail can be seen at the corners, enhancing the gritty industrial aesthetic. 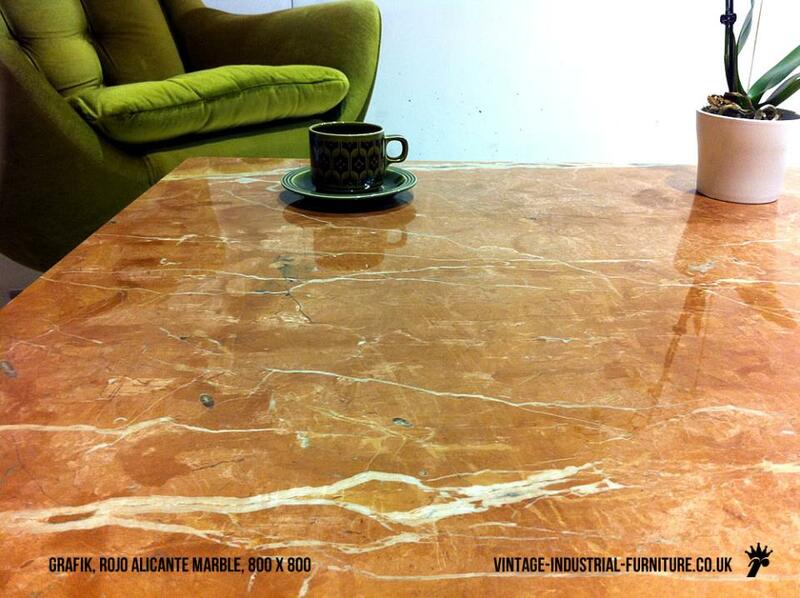 Contact us for bespoke sizes. 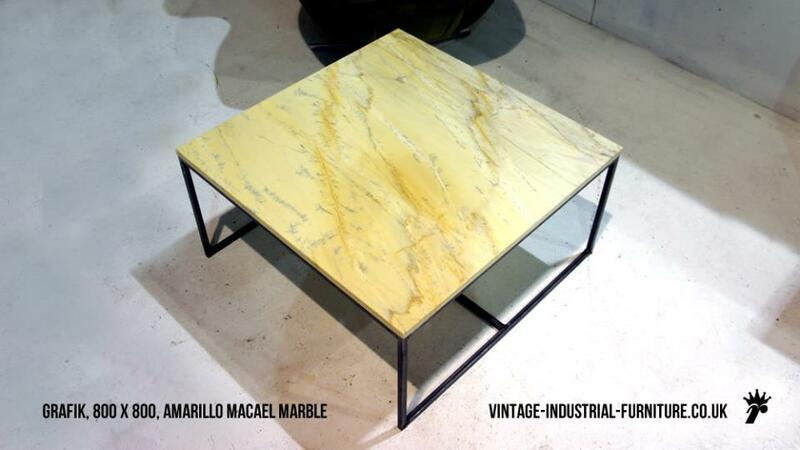 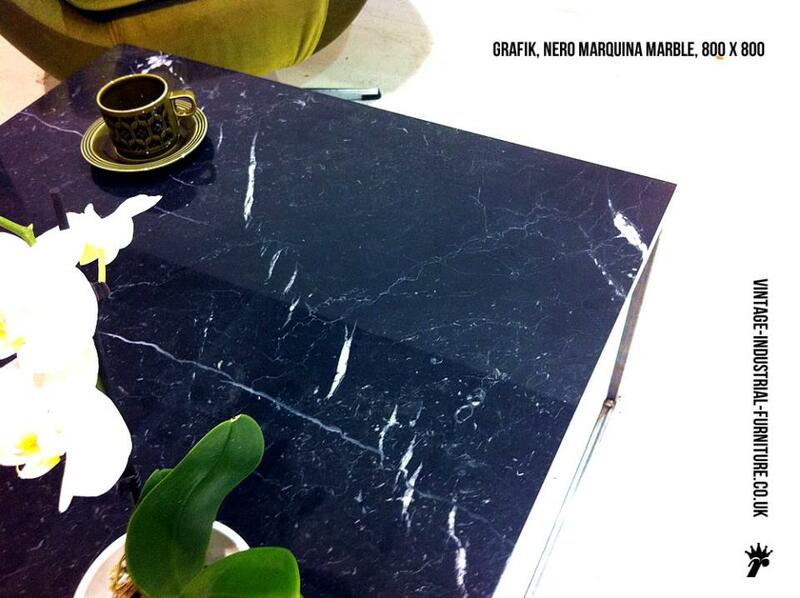 When ordering, specify the marble type in the checkout "message" box.